When I first became an author, one of the most vital resources I found to get my books out there and connect with readers was Goodreads. 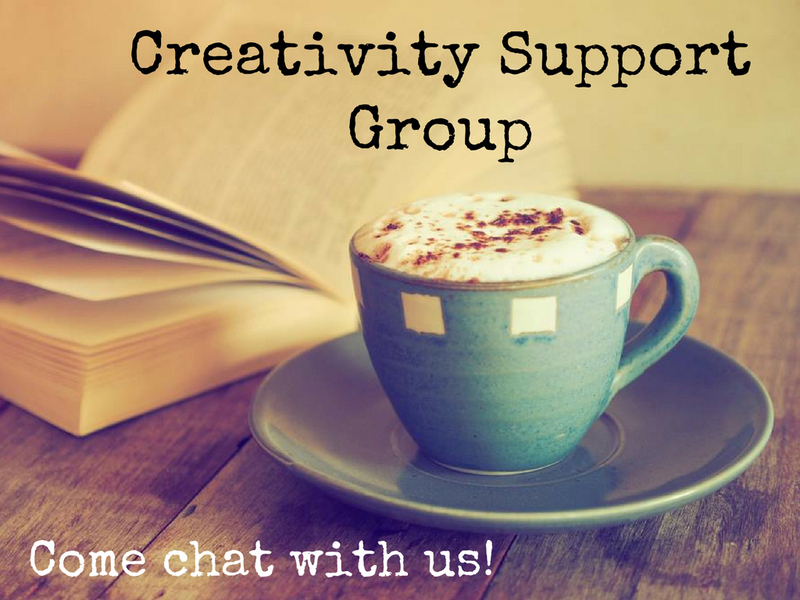 I loved that you could join or create groups to connect with other readers who liked the same kinds of books, find new books through friend suggestions, review books, and so on. I found this platform awesome for book lovers, and I made a lot of friends there. One of my favorite features on Goodreads was the giveaway section. As a reader, I could enter giveaways with hopes to win (haven’t yet), or just discover new reads. I’ve even bought several of the books I’ve entered to win. But this section was even more valuable to me as an author. It was my most valuable asset to get my book in front of other people who may not have known about it. I used it to encourage people to put it on their “To Read” list, to test out new descriptions, to gauge how well my books do compared to each other (when I did simultaneous giveaways), and so on. Plus, it just feels good to give your book away to someone who wants it. It was a fabulous marketing tool, and I utilized it with every book launch. Plus, those people who shelved my books (which are in the thousands for some of my titles) are notified whenever I publish a new book. The Goodreads Giveaway was the perfect way to spread the word about my books. That all changed this year. In January, Goodreads did away with free giveaways and now charges a minimum of $119 for each giveaway. As a small-time author, I was already feeling the pinch giving my books away, plus paying shipping and handling. Each free book runs me around $15, which doesn’t sound like a lot, but each book adds up when you’re still struggling to turn a profit. So to add $119 onto this feels like a slap in the face, and a clear message to those of us who aren’t making thousands off our books – we’re not wanted. I get it. Goodreads is a business, and an Amazon-owned business, at that. The service they provided for authors with these giveaways was incredibly valuable, and it was quite generous that we could do it for free for as long as we’d been allowed. However, to go from $0 to $119 is a bit high, especially since I don’t believe the outcome will be profitable. I mean, I’ve been disappointed before by giving my money to Goodreads ads. Just look at their poor excuse for advertising. Spend all you want on those little tiny self-serve ads; if you’re not shelling out major bucks for banner ads, you might as well give Goodreads your wallet for nothing and call it a day. So it looks like my Goodreads giveaway days are over. However, I am due for another giveaway, and would love your suggestions. If you’re an author, what have been some of your favorite ways to give your books away to readers? If you’re a reader, what kind of contest would you like to see? Your answer could result in a new contest, and you’ll get a mention! P.S. J. L. Greger guest-blogged about this topic on Thonie Hevron’s blog, “Just the Facts, Ma’am,” and offered a few alternative contest ideas. Check it out here. Whenever I publish a book, I go through a weird slump in the weeks to months that follow. Before the book is released, all of my energy is spent on getting that baby ready to be published – editing, formatting, tweaking, etc. During all of this, I’m getting the word out. All of my thoughts rest on this book and how people will receive it. Then, I release the book. A lot of faith goes into this process. I trust I’ve done everything I can do, and that it’s truly ready for others to read. I hold hope that it will change readers for the better. At the very least, I hope readers will love it, spread the word about it, and maybe even leave a 4-5 star review. Of course, my job doesn’t just end with releasing the book. In this, I have to continue marketing the book. Admittedly, this isn’t anything I’m good at, though I get a clearer picture with every book I release. However, I am drained by the time I release each book. This is the worst time to lose energy, because the momentum needs to remain to help further the reach of the just-published book. Last year, I wrote my heart out. I finished and released, Come Here, Cupcake, which, admittedly, was met with disappointing results.It’s been largely ignored, though I still believe there’s some potential there. More on that in a bit. Then I wrote back-to-back books – Reclaim Your Creative Soul (written in October), and Loving the Wind (written in November). I published Reclaim Your Creative Soul just this past March, and the feedback I’ve received has all been positive. I have a few readings coming up, and two podcast opportunities because of this book. I’m gearing up to release Loving the Wind in August, if all goes according to plan. The manuscript will be in my editor’s hands this week, a step in the process that always excites me. It means I’ve perfected this baby as much as I can, and it’s about to get that final polish before release. And I can’t even begin to describe how in love I am with this story! Back to Come Here, Cupcake. I wrote this book a few years ago, but revamped the storyline with the help of a few creative friends. The process was both wonderful and challenging. The original story turned into something totally different, making way for a better, three-dimensional story. But along the way, I had to kill a few darlings, a process that was incredibly emotional for me. It was also hard taking the story I had written and changing it into a collaborative effort. I’ve always written my books solo. So to share this experience was something new, and totally out of my comfort zone. I’m not saying it was bad. It was actually awesome most of the time. But it was also different than any way I’ve ever written. In the end, the story became stronger. It also turned a standalone book into the beginning of a series. A series I have not written yet. So, back to that slump. When I released Come Here, Cupcake, I went through the slump. I knew I needed to keep writing to that series, but I was worn down from a completely emotional experience. Following that book, I needed to recharge. But then I got the inspiration for Reclaim Your Creative Soul. 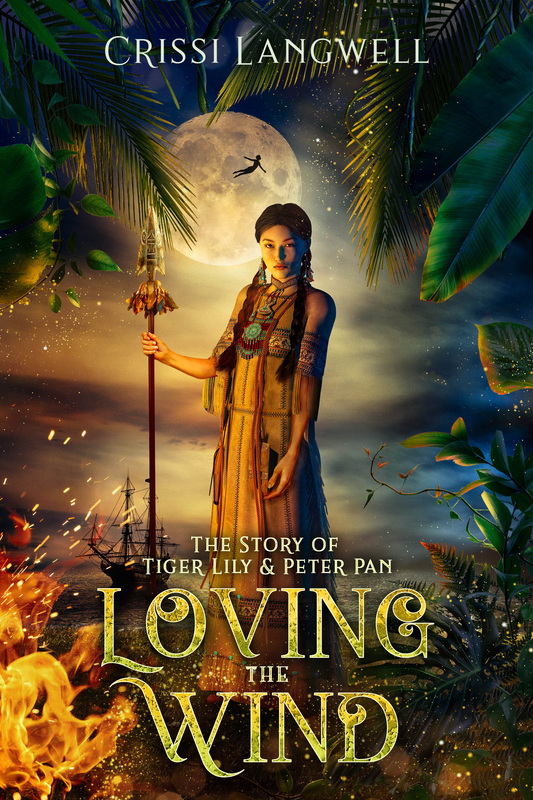 Following that, Neverland haunted my dreams and Loving the Wind – the story of Tiger Lily and Peter Pan – was born. Along with some freelance work I’ve been blessed with, all of my energy has turned toward those books. Because of this, Come Here, Cupcake has been put on the back burner. My goal is to start planning out and writing the rest of that series in the next few months. 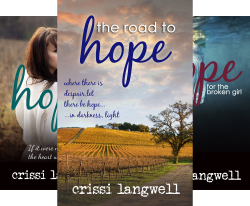 Once the series is written, I plan to re-release Come Here, Cupcake with a new cover, and then roll out the rest of the series in a much quicker fashion. However, this is going to have to take some patience from any of you who have been waiting for the next books. Once Loving the Wind is released, my writing energy will be spent on the follow-up novels to Come Here, Cupcake. I don’t know when my next published book will be, as I have nothing ready for publication following Loving the Wind. At any rate, I appreciate all of your support. I cherish every word I receive about the stories I write, and it warms me whenever I hear that they’ve touched a reader as deeply as they touched me while writing them. Hey everyone! I am working on final edits to the cover for Reclaim Your Creative Soul. Here are three options. The fonts are not finalized, and suggestions are definitely welcomed! This will also be viewed in online stores at small sizes, so that is something to keep in mind. Of these three options, which one is your favorite? Or is there an idea I didn’t try that you think I should? I’ve been having hair indecisiveness lately. 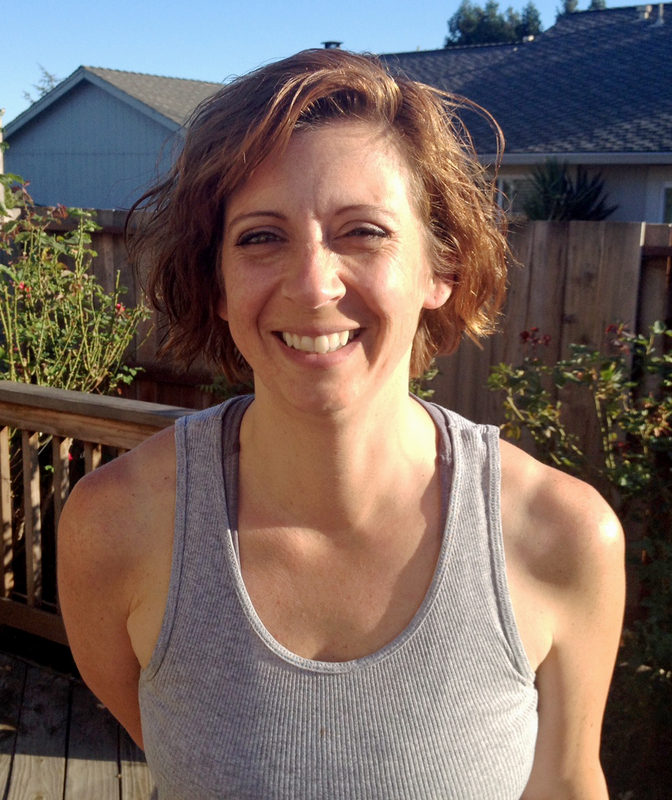 It all started last November, as I faced my 36th birthday (you know, the one that makes you in your LATE thirties instead of your EARLY thirties), when I decided I wanted to cut off ALL my hair. I wanted my hair to look like Jennifer Lawrence, even though I don’t make clumsy look cute, and I’m not in my twenties with a styling team behind me. I didn’t care. I wanted to sport the pixie, and knew I would look young and chic and sassy. My hairdresser, however, was a little freaked out by this request. I’ve had loooong hair pretty much all my life, so going from that to a pixie was a bit of a jump. So she talked me into an a-line haircut. She trimmed the back all the way up to my neck, and the front sloped down to my shoulders. It was super cute, and I totally loved it. When it started to get long again, I went back in to get the same cut. I expected the same bit of sass to come out of her scissors. What I ended up with, however, was a MOM cut. I looked older than my age. I didn’t even want to look my age, let alone older! After going home and doing my best to style it, I realized that this was NOT the cut I had originally gotten. And it just wasn’t working. I called my hairdresser the next day, and she promised to fix it when she had an opening at the end of the week. Of course, a funny thing happened by the time Friday came. My hair looked fine. But I was not going to be the one to say it. I let her trim things up and work her magic, and I came away with a great haircut that looked even better after a few days had passed. Three days ago, I went back in for a haircut. This time, I cheated on my hairdresser with a cheaper salon. And I told the lady I wanted it short, short, short. But I didn’t want it to do the weird flippy thing it was doing. She talked me into longer layers to go with the short do, and had her way with my hair. Now, dang it, I am not a person who speaks up in disappointment. If I did, it would be interrupted by my lame tears, because I pretty much cry whenever I feel strongly about something. So when I looked in the mirror and saw RAMONA QUIMBY looking back at me, I wanted to wither and die. I wanted to leave the salon with a bag over my head. I wanted to do everything in my power to make myself invisible. Instead, I smiled at the lady, thanked her, and gave her a 20% tip. Because that’s the ridiculous person I am. My husband could see the disappointment in my eyes. Worse, he could see the haircut. Worsest, I could see that HE didn’t like it. “It’s cute,” he lied, and then he avoided looking at me all night long. I’m not making this up. For two days, he avoided eye contact with me. Then a few funny things happened. First, my hair relaxed into the haircut. Second, I began playing around with it, learning the ways that it looked best. Third, it started to look cute. I mean, really cute. “Wow, your hair,” my husband said to me yesterday. I had clipped it back in small french braids so that it hung in the back but away from my face. And I felt pretty adorable. Then today, I received several compliments about the scrunched look I gave my hair. “How did you get your hair to do that?” my coworker asked me. And I could tell that in the moment she was actually jealous of my hair – the same hair that I wanted to hide under a bag only days before. There’s a lesson in this, and it has to do with instant gratification, as well as high expectations. Just like with my hair, I expected extremely great things for my first book, A Symphony of Cicadas. Not that it would make me look young and sassy, but that people would read it and be changed forever. Back in March of 2013, I published that book, hearing the warnings that no first-time author hits it big on the very first try. I heard it, but I didn’t listen. The first few months, the sales trickled in. And by trickling in, I mean I was selling only 1-6 copies most days. Oh, how naive I was to believe that was BAD, that ANY number of sales could be bad. After the newness of the book wore off, the sales tapered down as well. I published my poetry book and a book of parenting essays to try to grab the attention of the crowd again. But nothing was happening. Then this last March, I published Forever Thirteen, the follow-up novel to A Symphony of Cicadas. This time, I put a marketing plan in place. It wasn’t a huge plan, but it was something. And I fully expected the numbers to roll on in. And they did…just a little bit smaller than I expected. We live in a culture of right here, right now. On Facebook, we post photos and then feel disappointed when someone doesn’t comment on them right away. We email our coworkers and then walk over to their desk to ask if they go it (not me, this drives me crazy!). We send out a Tweet, and if it doesn’t get retweeted, we tweet it again. We go on a diet, then give up when we don’t lose weight within the first two days. We can’t live in the moment, but have to take photos of it and share it across various forms of social media. We even laugh at the graduates who think they deserve a high paying job right off the bat, but then we do the same thing by expecting instant success with our first attempt at greatness. I expected to be discovered as an author, for my book to be picked up as a movie, for me to be moving into my mansion and deciding how to spend my JK Rowling fortune. Sixteen months into this, I am still working my day job, fighting to find time to write my novel, and spending more money on everything it takes to publish it then I’ll see from sales. Thing is, I make peace with this constantly. I mean, I grapple with low sales and the yearning to be discovered. But I also hold on to the fact that I am doing it – I’m doing what I’ve always dreamed of doing. I’m writing books. Can’t that be enough? At least for now? Last night, the trailer for If I Stay came on. My husband hadn’t heard of it before, and I watched the look of shock cross his face as he watched it. The premise was on the same plane as A Symphony of Cicadas. Except my book isn’t some soon-to-be blockbuster hit. “That should be your book,” he said. Yeah, but it’s not. And I have work to do if I want it to get there. And it’s not going to happen overnight. But if I keep doing what I’m doing, and striving to move forward, my books could be on your TV screen as a movie trailer, too.